The first of the many Malakat member features. Given the crazy schedule that we all have, we rarely get to be up close and personal with our other outdoor buddies. Usually, the best times that we get to know them are through socials during climbs and the fun-filled malakat.outdoors chat conference. It was Saturday, September 22, 2012, I attended the Malakat Outdoors orientation. She was wearing a pink shirt paired with denim shorts. With her chinky eyes, petite body frame and a nice skin to die for, Odessa also known as Oding strucked me with the kind of glow that no one ever has. They say that first impressions always last, I thought that this is the type of girl that would challenge a man through her unpredictable, mysterious and not so approachable yet unintimidating aura. Despite that impression, I still thought that she’s girl who’s cute and jolly when the moods are not swinging from north to south. 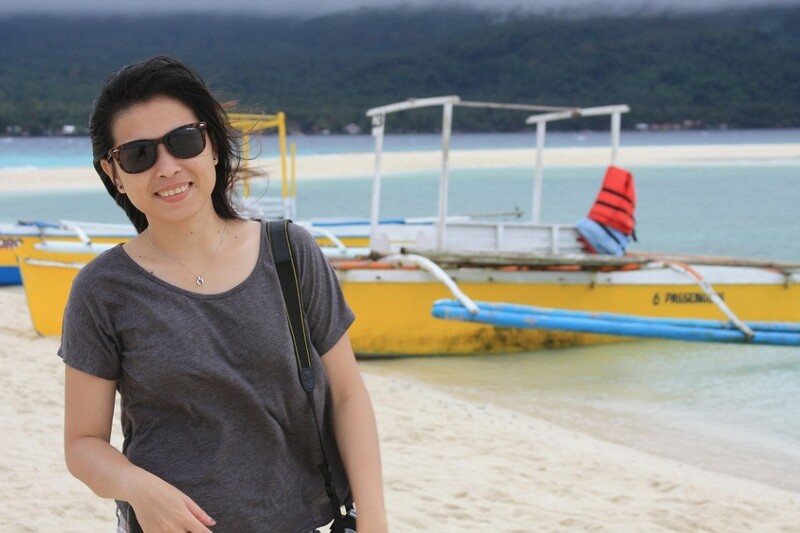 So, to all of you who shared the same impression with Oding, let’s get to know her better. Favorite food: humba, bola2x, lumpia, ginabot, pancit! The outdoors is the place where I can find total inner peace and clear of mind. It is like my natural remedy for stress and problems. I enjoy and love being outdoors because it also makes me feel connected to the EARTH in a simple way of life, meet new friends, and be able to witness the fascinating beauty of nature. There are more to tell but to make this short, I am the type of person who loves adventure and explorations since childhood and I found them through outdoors. What have you learned from climbing peaks? So far, Mt. Canlaon and Osmeña peak because of the impressive scenic view and side trips. Oding striking a pose at Mt. 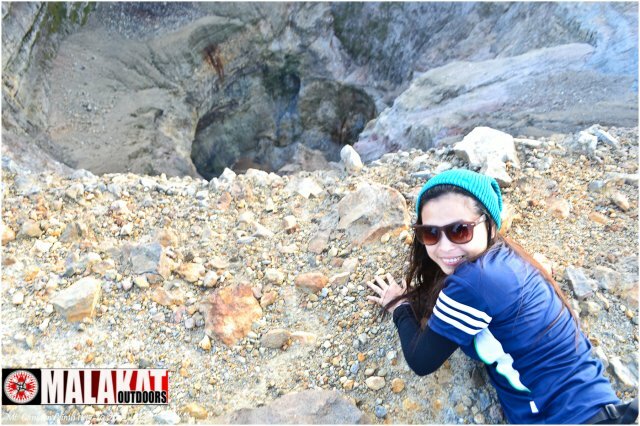 Kanlaon’s volcano crater. Lalai’s note: They actually are my favorite couple. How do you express your thoughts? Climbing peaks with the babies? LOL Well of course, everyone dreams for a perfect future, family, home. What does it take to impress you? To me, it is not about how many mountains one climbs, how many places one has been to, how many abs one gets, how many bachelors degree or job positions one gets, etc., just be with yourself, stop showing off and quit trying to impress. My first climb with Oding was at Osmena Peak, and I can vividly remember that night when she helped me cut those overly long Bihon noodles soaked with water. Obsessed with Royal Soda, Oding is intelligent and cool at the same time. Okay, the soda part was off but anyway, who would have thought that a girly looking eShop specialist at work loves adventures and the Outdoors? 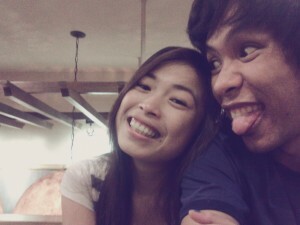 We went out for a couple of food trips, thrifting together and just recently, a movie date. I would describe Oding as someone who keeps her walls up but would not make you feel awkward. “Maldita” impression will always tag along with her but she’s definitely nice and all once you get to go up close and personal. I wish Oding the best and I will always be thankful of being able to get through the ‘just acquainted’ phase of our friendship. we had a chance to meet your beloved father, Oding.. hahahahah.. lingawa namo oi, naka-timing sad xa ug pangutana namo. thank you so much my avid reader. hinoon ding maldits man jd ang imo dating. Pero if kaila mo niya practical lang jd siya nga pagkatao and as a saying goes 1 word is enough for a wise man… some sort of strong willed si oding. pero tan-aw ko mohilak ni siya basta sungogon. hahaha.. makahilak mn pd ta sa imo comment ge… ahahah! hahaha kinsa na si marie? ayaw na tawaga ug oding si oding. MARIE na! hahaha na odessa marie lagi si oding?